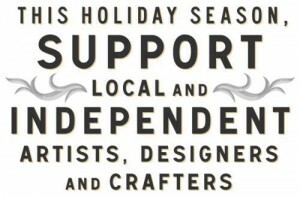 25 Nov 2011 – Support Local Artists on Small Business Saturday! In November 2010, American Express promoted Small Business Saturday – a companion to Black Friday and Cyber Monday, in which people were encouraged to patronize local brick-and-mortar stores instead of the mega-franchises. I’d actually suggest taking this concept a tiny step further. If you’re choosing to indulge in the post-thanksgiving consumerist binge, consider supporting products and services directly from local providers. I mean buying art directly from the artist. Not from a business. Not even from a small local business, but from PEOPLE. Buy directly from the people who actually make the product or perform the service. Check out the Phantom Tails/Fort Wilson Riot split vinyl release party on 3 Dec, and get two band releases for the price of one! Mark Mallman always has something going on. Mayda, Dosh, STNNNG, Tapes-n-Tapes, POS, Gay Witch Abortion, No Bird Sing, Haley Bonar, Peter Wolf Crier, and about a billion more to choose from. If all else fails, download Jagged Spiral’s album Days From Evil for free, burn it to a CD and say you paid for it. City Pages has an entire directory of Minneapolis bands. 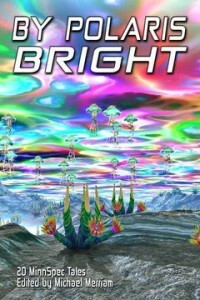 Check out vita.mn for local shows. Conrad Zero – Dark Fiction. Duh. Check out Magers and Quinn, Once Upon A Crime, Dreamhaven Books, and Uncle Hugo’s for more local author events, readings and recommendations. Anna Lee has some great fashion designs. Julia Leigh gives fun dance lessons, which would make a unique gift!